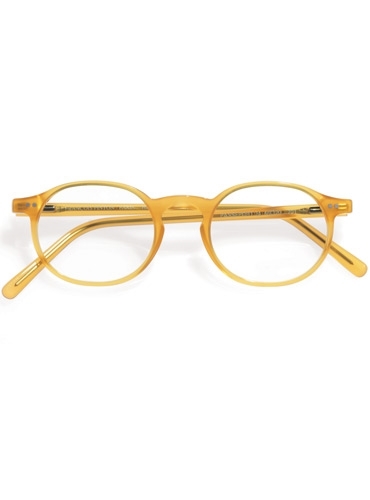 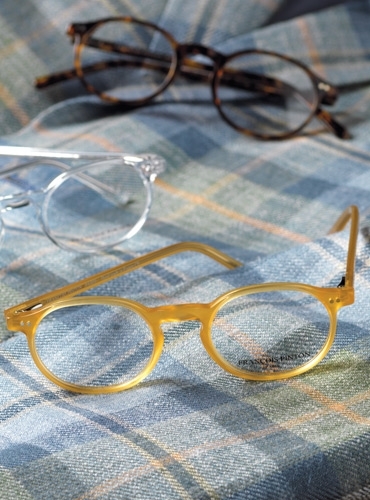 This understated classically shaped 46 mm frame is handmade in France, and has a 20 mm keyhole shaped bridge with a rounded top, and François Pinton’s hallmark spring hinges. 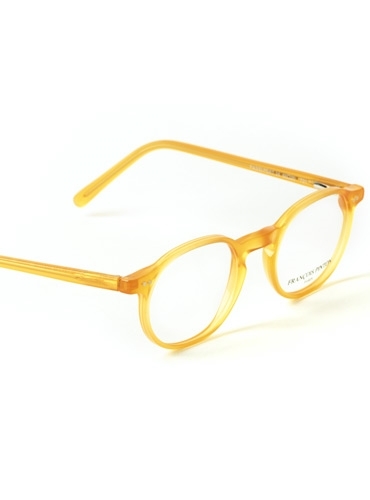 Shown here in golden yellow. 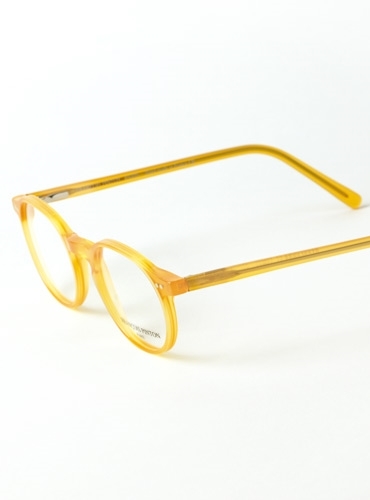 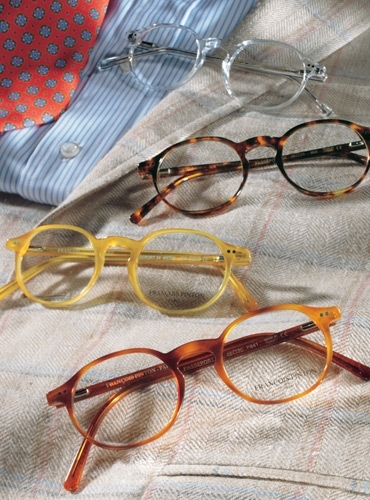 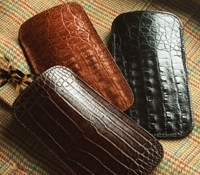 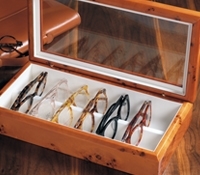 Also available: B-dark tortoise; D-crystal; E-amber.